Trespasser is so much like an ambitious experiment gone horribly wrong. This isn’t a dental hygiene inspection – when you get this close to T-Rex, you’re in trouble. 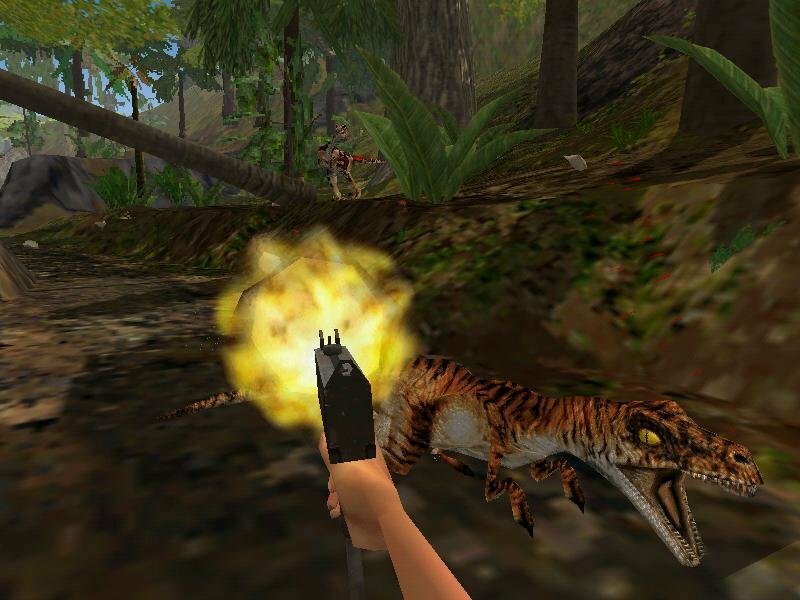 Fight for dear life on a tropical island infested with killer dinosaurs! With such an exciting concept, how can anything go wrong? 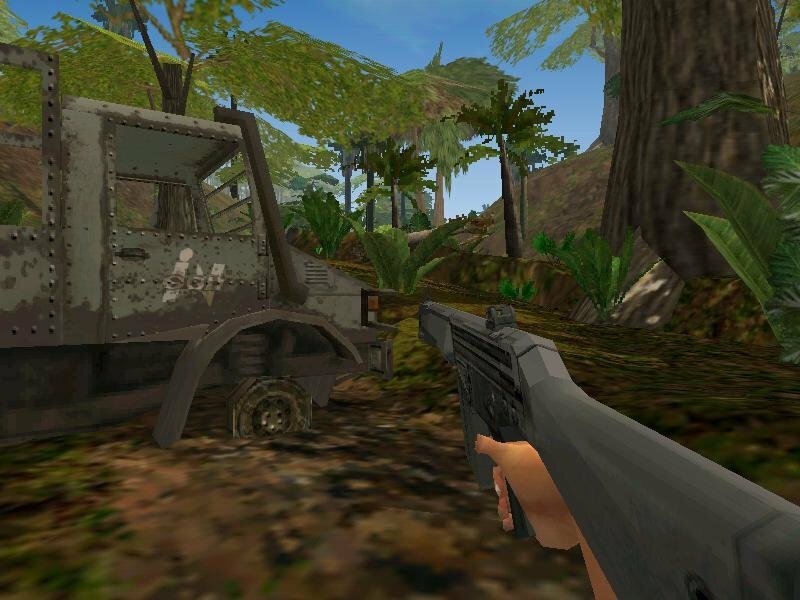 In complete antithesis to Quake and its like, Trespasser was meant to evolve the first-person action genre by placing weight on novel combat and unprecedented realism in a tropical setting. 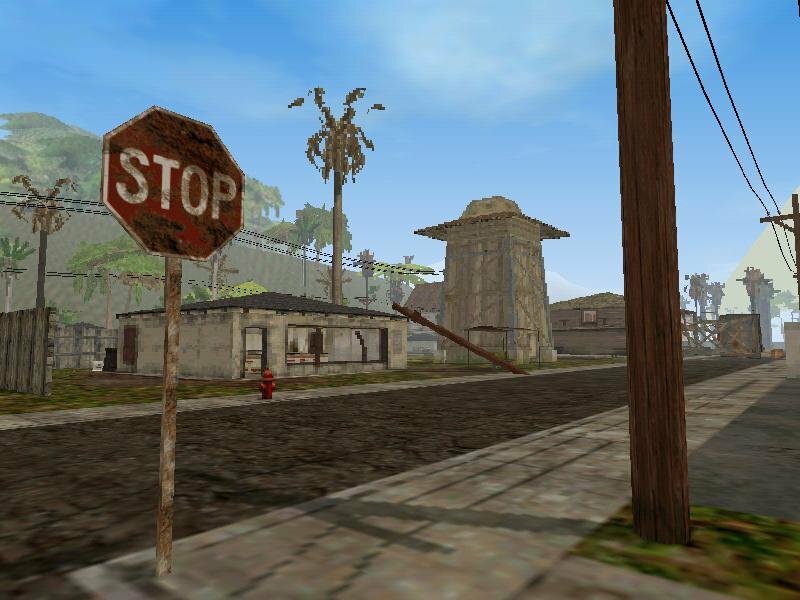 Initially thought up as a survival horror, the game gradually shape-shifted into an unconventional FPS with adventure gaming elements. But alas, it was not to be. A combination of managerial issues, mounting costs, badly implemented technology and missed timetables ensured Trespasser could never live up to the raving publicity behind it. 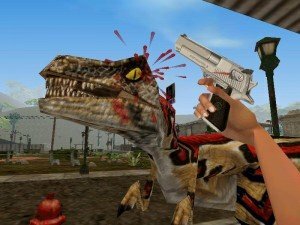 If you’re unfamiliar with Jurassic Park (jeez, what rock did you live under!? 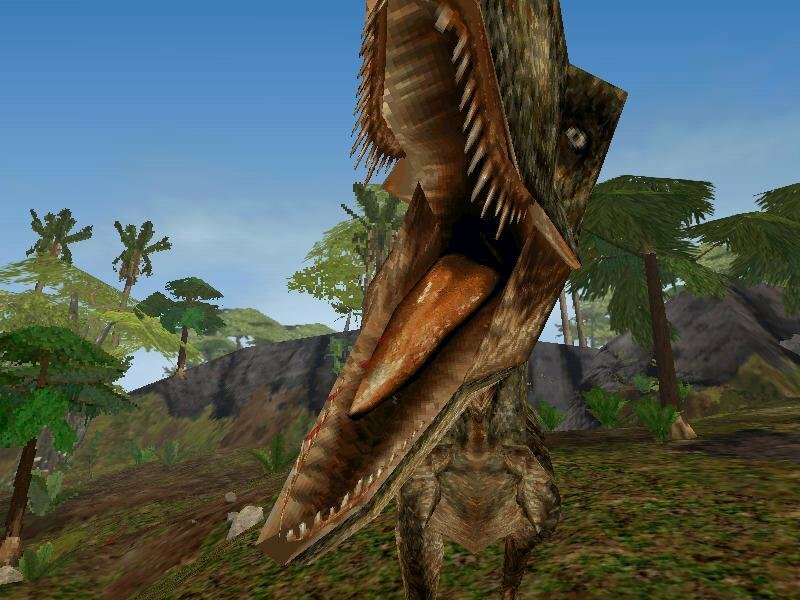 ), the schtick revolves around genetically revived dinosaurs that are left to roam off a Costa Rican island, which functions as a resort park slash research facility. 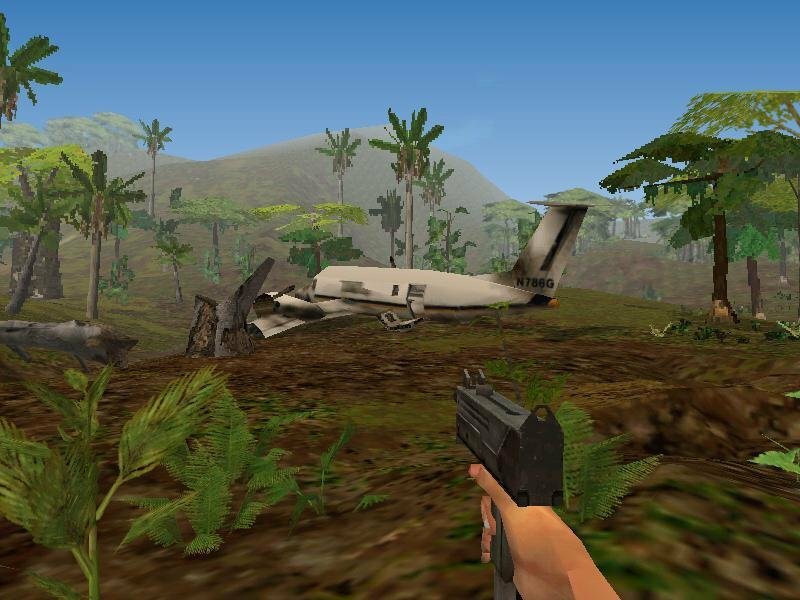 You take control of Anne, the sole survivor of a plane crash which ultimately leaves her washed up along the beaches of Site B. The action starts several years after the initial outbreak, during which time things have pretty much gone to hell. 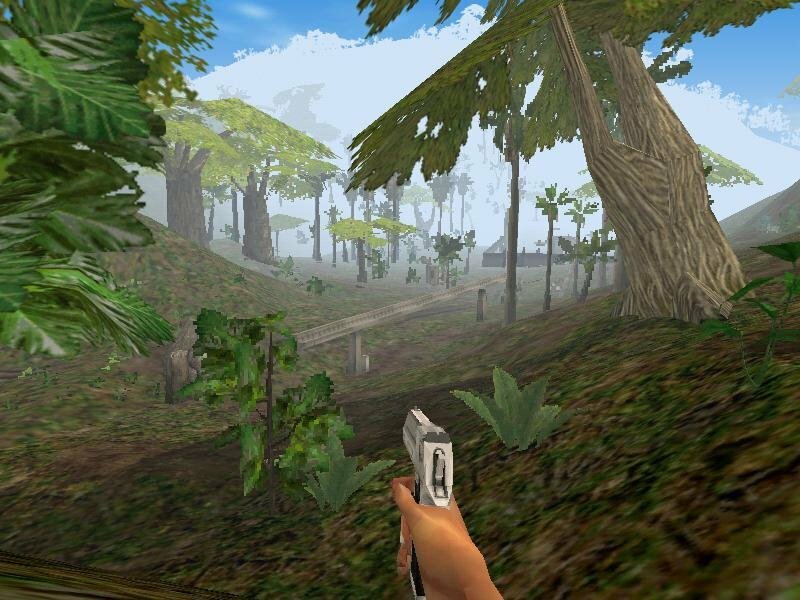 The game is played from a first-person perspective along eight open-ended levels located on many different parts of the island. 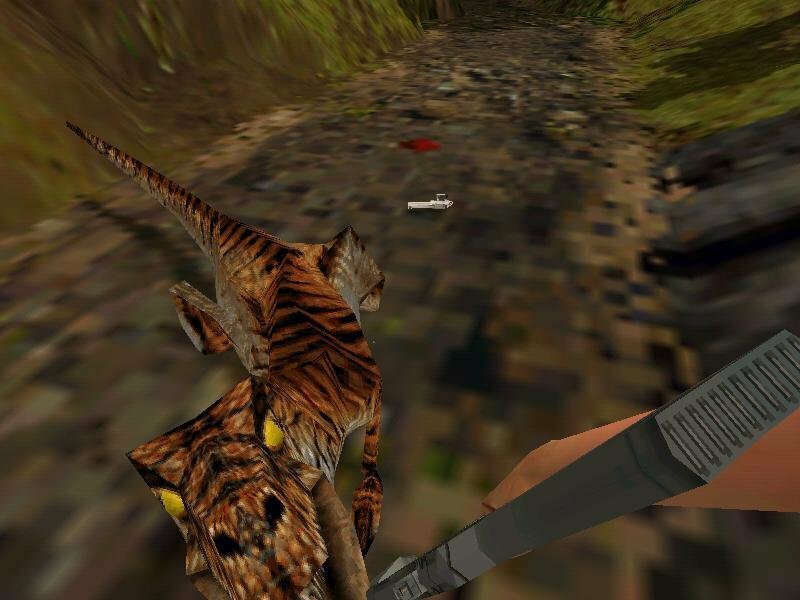 Trespasser is unconventional in that it takes a very minimalistic approach to its design – with neither a HUD, inventory system or a high damage tolerance, it does indeed come off as more realistic than anything Quake could ever produce. But does realism always equal fun? 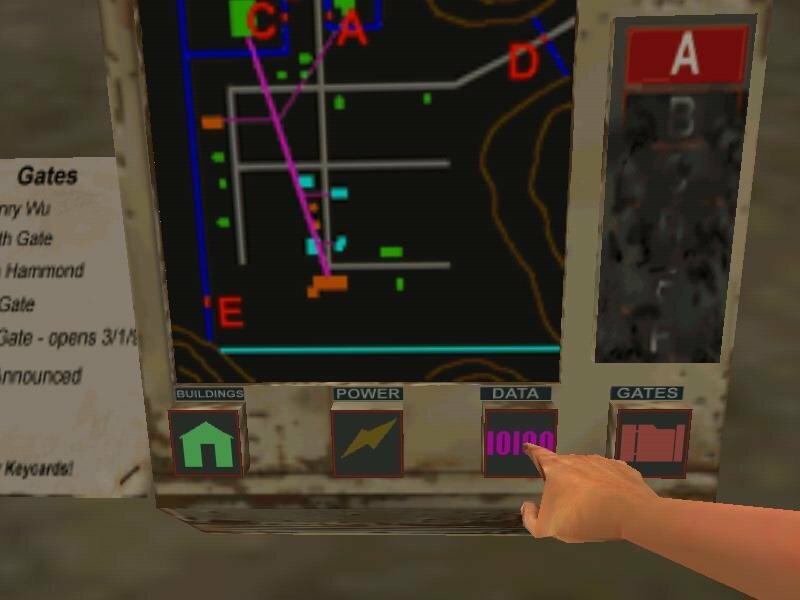 The few clever takes on realism – like the non-existent HUD or ragdoll physics – are utterly sabotaged by what must be one of the most clumsy control schemes ever devised. 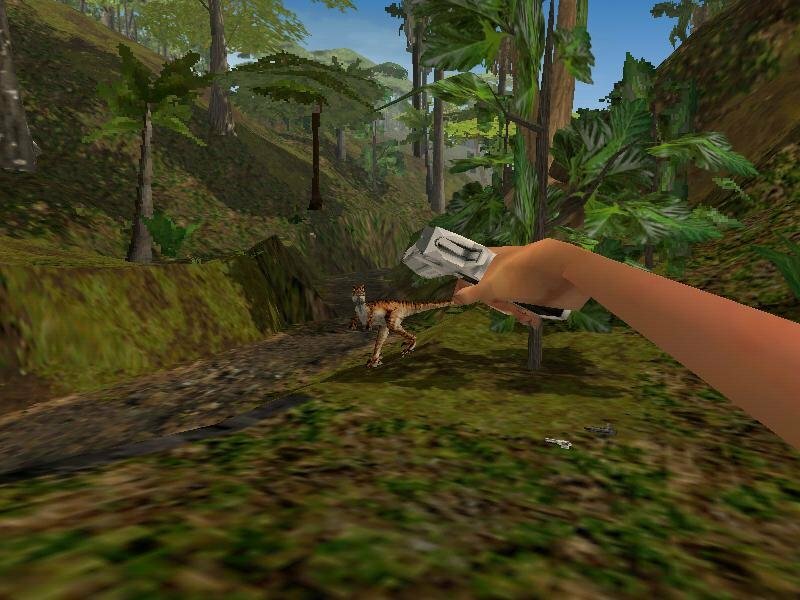 You interact with the game world using a peculiar ‘arm’ system – hold down the mouse button and you stretch out your hideously ugly appendage to pick up weapons, keys or debris items, and the controls even let you orient picked up objects in 3D space. 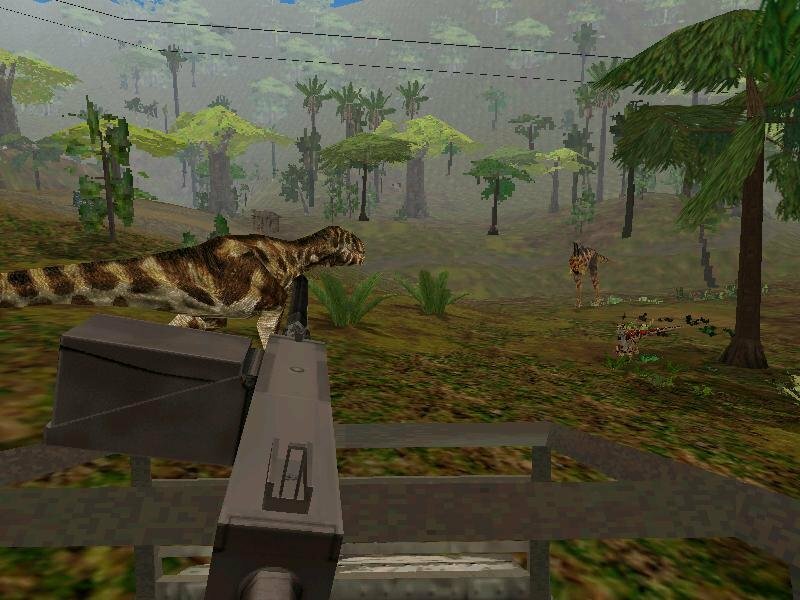 Immersion was the idea behind this, and to some extent it works (when you pick up a gun from the ground, you actually have to aim down the sights), but the arm is so difficult to control that you’ll quickly grow tired of it. Three years in the making and Dreamworks sort of went overboard with the whole ‘realism’ approach. You can only carry two weapons, one of which always has to be in your hand. Unfortunately, running your robo-arm into a wall usually makes it drop whatever it was holding. 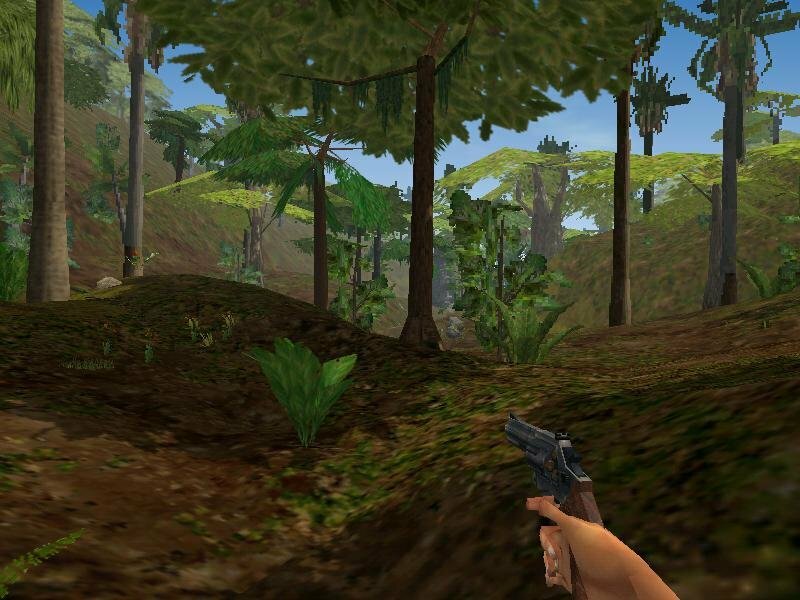 You can’t pocket bullets from loaded guns, so the constant scavenging of weapons is a ubiquitous gameplay feature. The free roaming aspect of every level is nearly wasted in this regard, as you’ll quickly learn that straggling away from the beaten path will only reward you with abandoned yet fully working firearms. It kills the purpose of exploration since you already know what you’ll find. 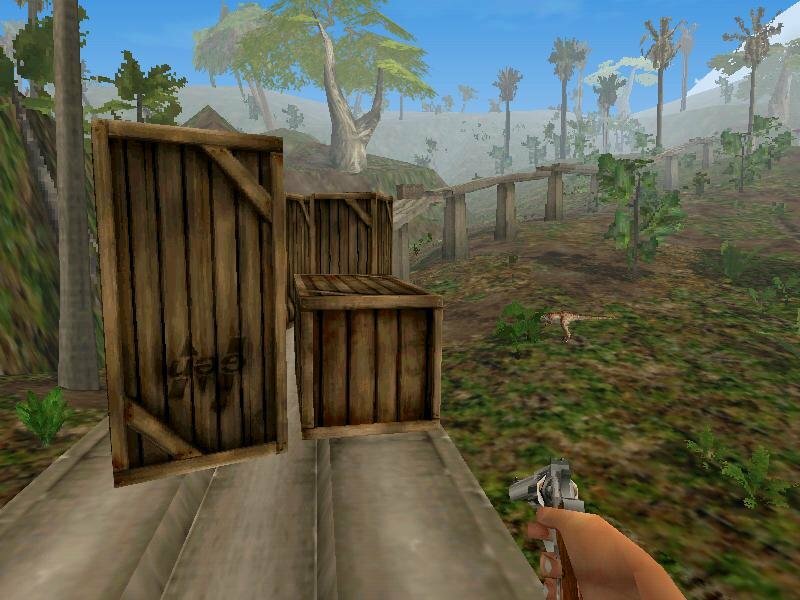 One of the game’s highlights is its ragdoll-based physics engine, a genuine first in gaming, but it’s often poorly used as a gaming device. 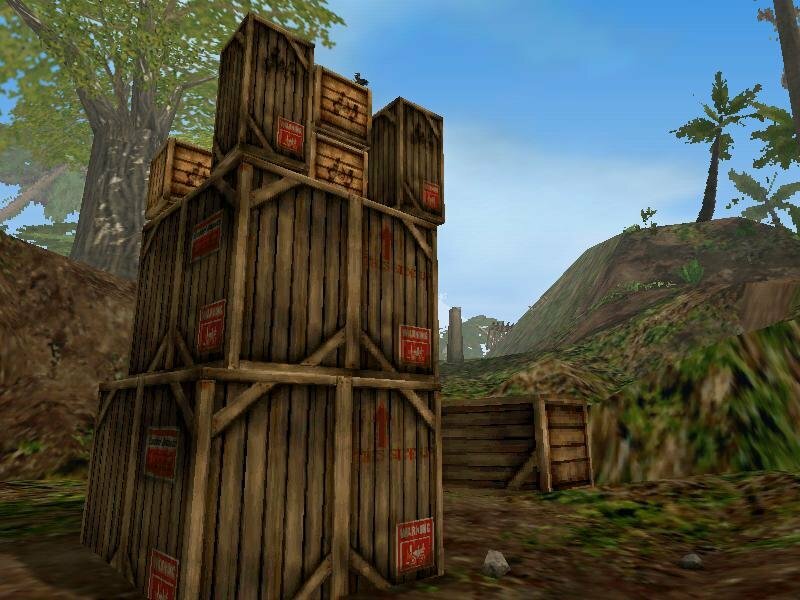 Stacking crates just because the game allows you to do so in a realistic manner isn’t inherently interesting, it’s one of those boring and mundane tasks we do in the real world. You grab the box, fight with the interface in order to orient it perfectly, place it on top of the other crate, and hope the flaws in the physics engine don’t cause it to slide off the box, at which point you get to repeat the endeavor ad nauseum. 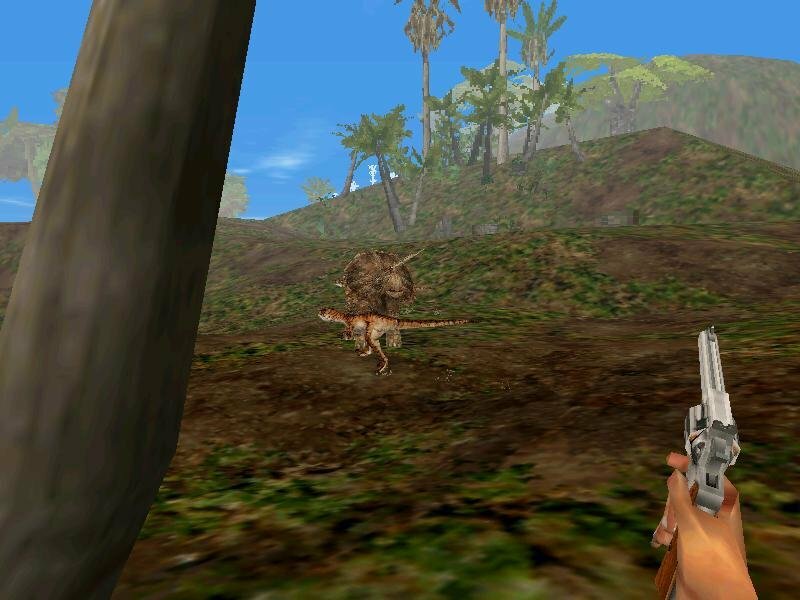 The camera system will fight you every step of the way, as staring downward to ensure your position for a potential jump is blocked by your character’s enormous rack (which provides a heart tattoo that works as a hitpoint meter – this is mildly clever, but it brakes the jumping puzzles, of which there are quite a lot). Now this was a cool shot. 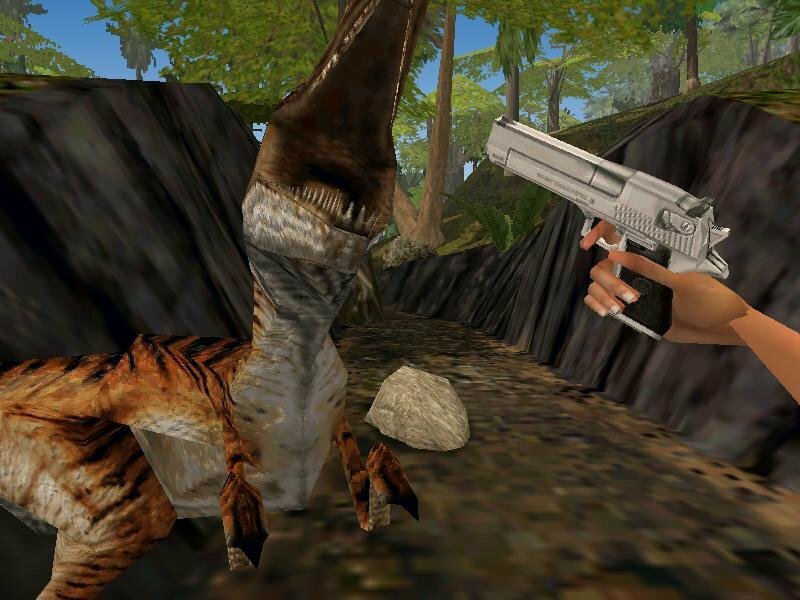 Of the half-dozen species of dinosaurs featured in Traspasser, only two are openly hostile and offer any real challenge. The great majority are passive herbivores that seem completely oblivious to your presence (so their inclusion is mostly wasted). 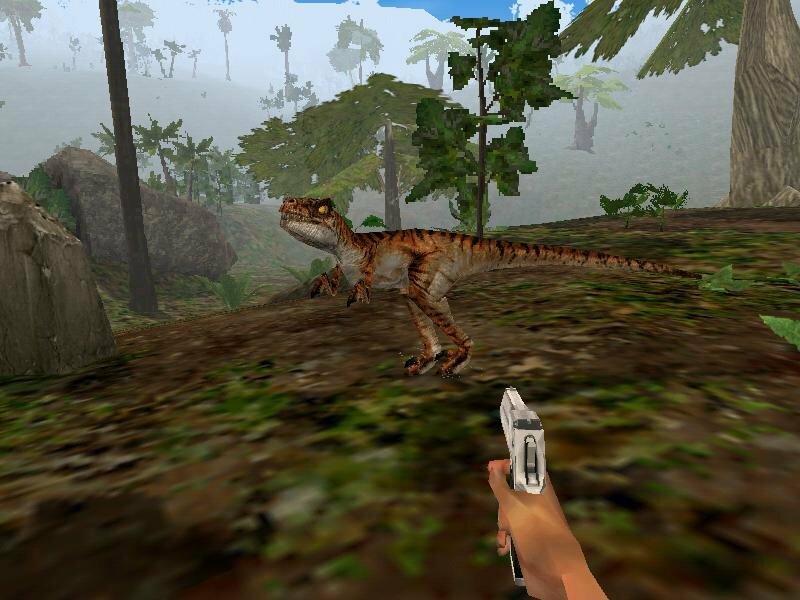 Your most common foe will always be that Jurassic Park icon of evil – the Velociraptor, a clever hunter that will actively stalk you in lifelike fashion. 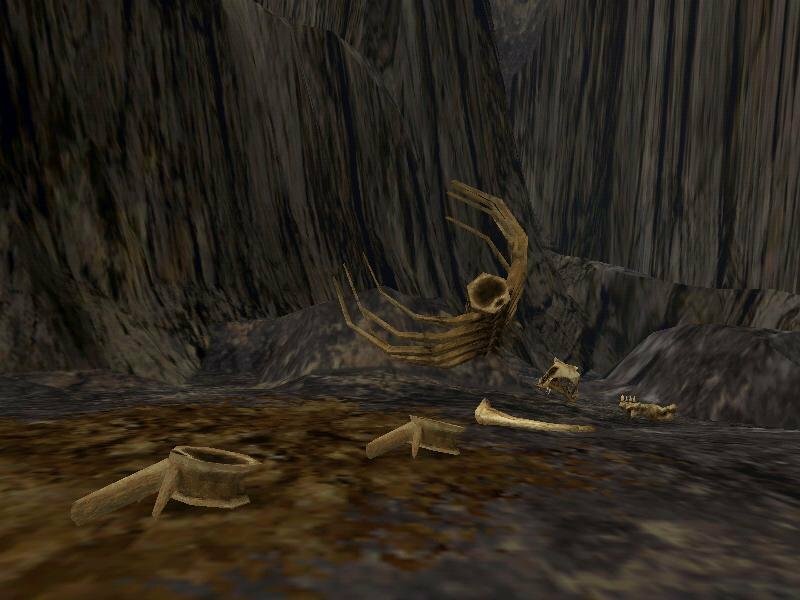 As overused as they are, these guys are probably the best part of the game, as their movements and sounds are nothing short of excellent, even if they are missing their much vaunted pack mentality. They never show any real signs of group AI, like engaging in flanking attacks. 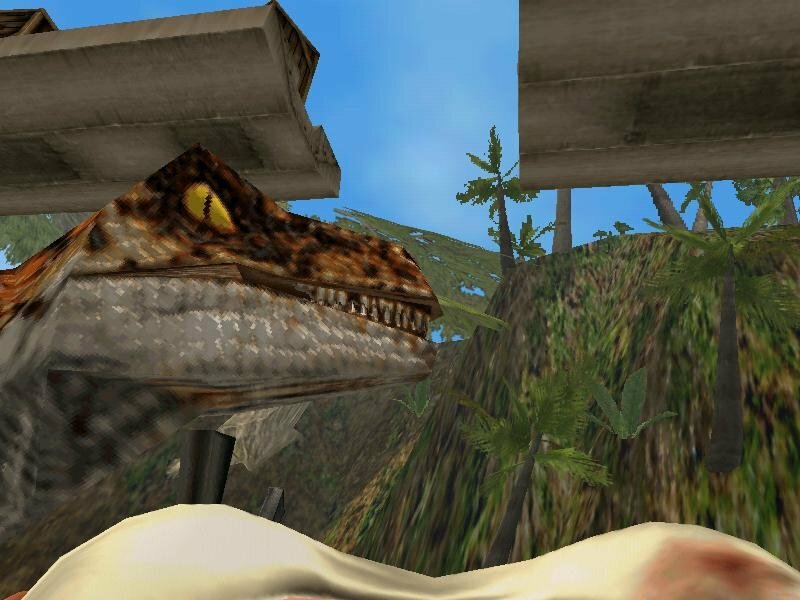 Their pathfinding is also pitifully limited to boot – place a Raptor inside any tight enclosure and they circle around in a confused, drunken wobble. Pack several raptors side-by-side and they will continually bump into each other. 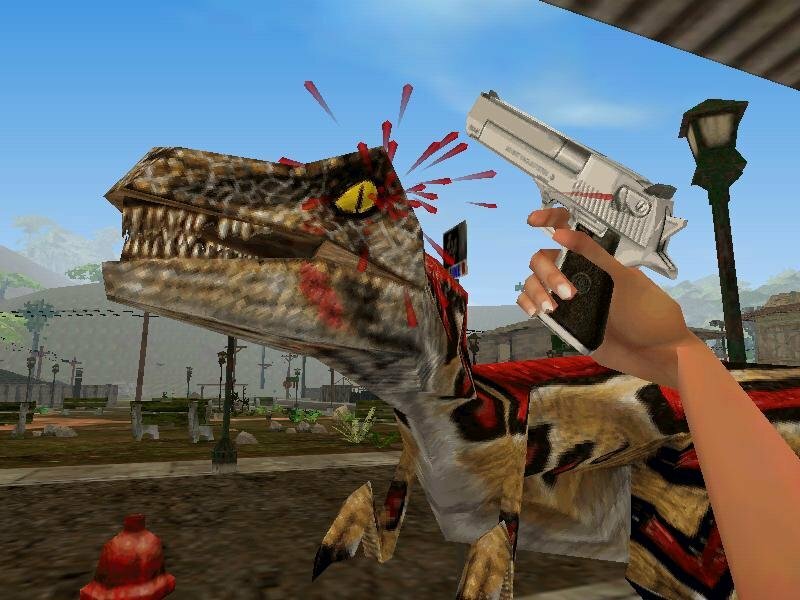 You’ll also face the infamous Tyrannosaurus, but he’s barely a sideshow. Higher up on the food chain, the monstrous T-Rex can overwhelm even Velociraptors, offering a few instances of dinosaur infighting. Although big, loud and seemingly ferocious, they seem all too inept at actually cause any real destruction, and are laughably easy to escape. Hey moron, I’m over here. 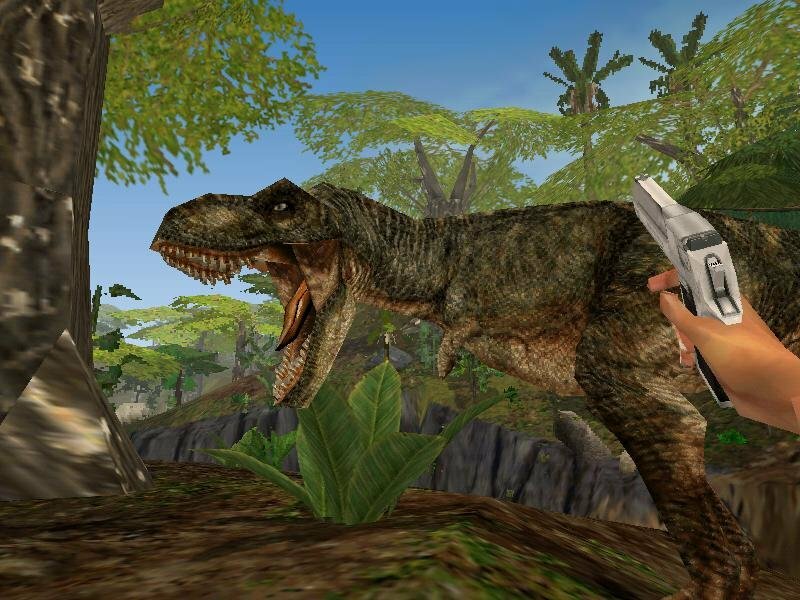 The team creating the game obviously is talented, but their talent has been misdirected. 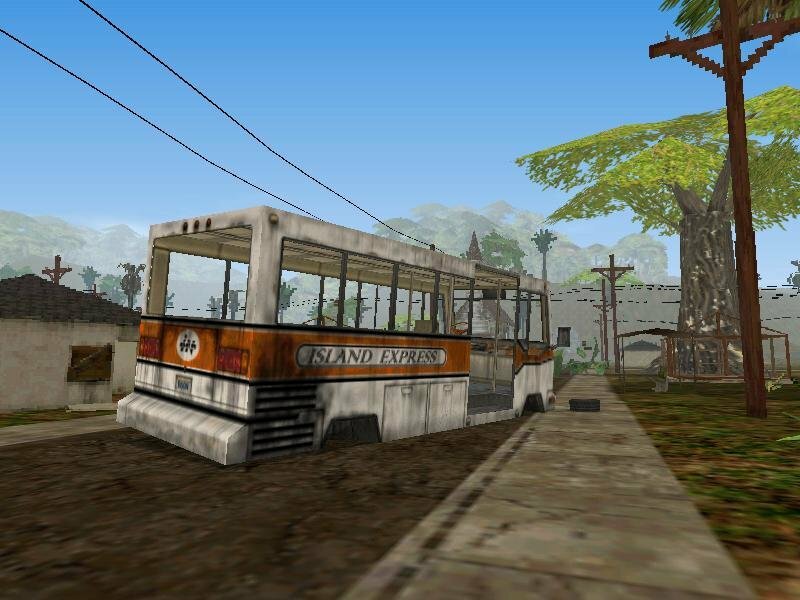 Real-world physics enhance any game, but they aren’t by themselves a game. This fallacy permeates every line of code that went into the crafting Trespasser, that somehow a more realistic world makes for a better one. The game ends up falling somewhere between being one of the most innovative and unique game experiences realized on a PC and one of the most gratuitous examples of misdirected game design. Ultimately, it’s merely the finest box stacking simulation ever created, but not much of a game. 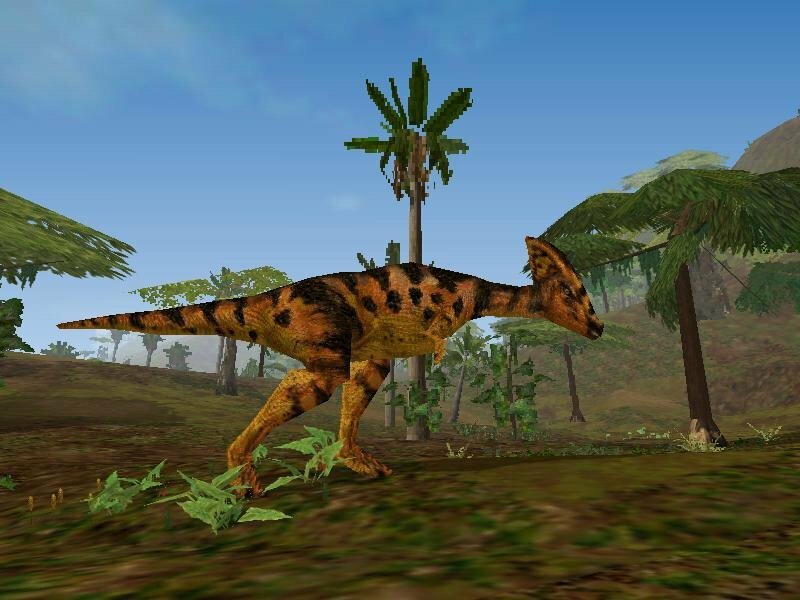 Trespasser was the victim of its own rushed development, bad decisions, mounting costs and over the top publicity raising expectations to an unrealistic degree. 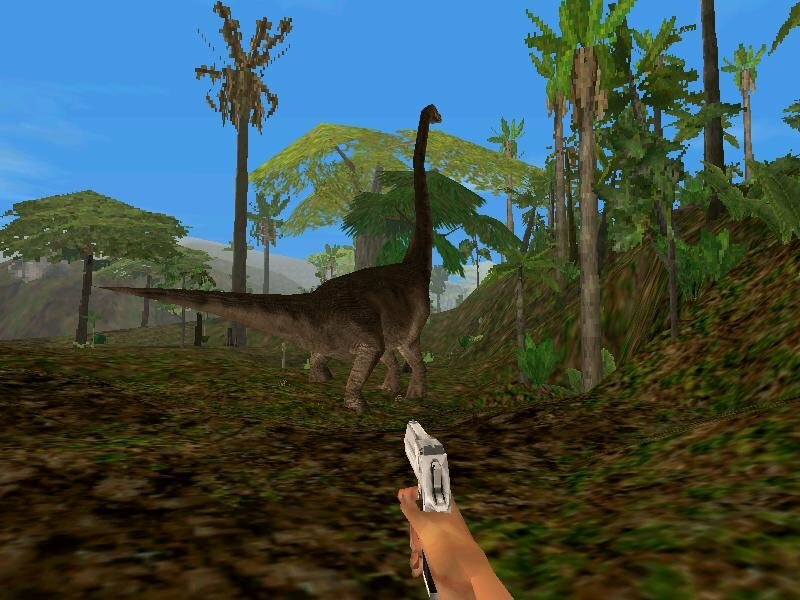 As development was rushed along to meet the deadline of Spielberg’s 1997 Jurassic Park sequel (which it failed), many of its elements were simplified, left unpolished or cut altogether. 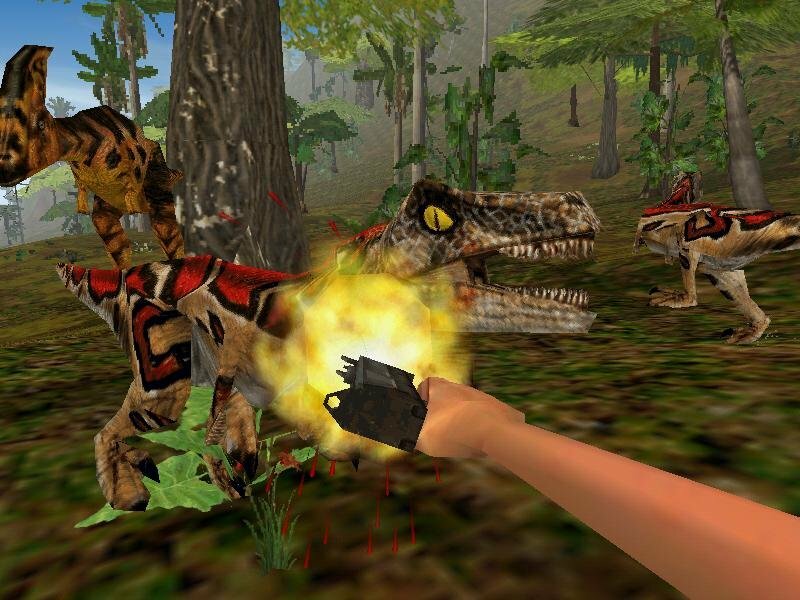 Much like the dinosaurs from the movie, this game was an ambitious experiment gone awfully wrong. i like the game is very good game. 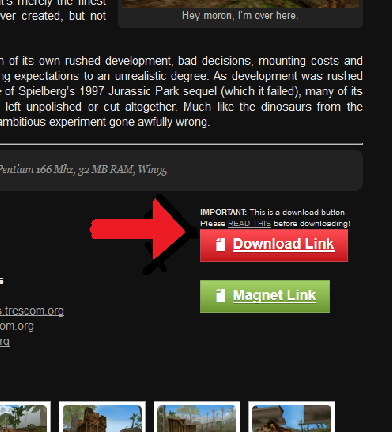 i like it very much, but i don’t know how do you download it? can you help me?